The All-Star week is a bit of fun and it allows players to focus on the more important things like fashion, sneakers and sorting out their contracts but for most NBA fans, this is a few days break from the game. Heading into the break you often think that this is quite nice and it will be good to have a break but before the week is out, you are desperate to get back into the action! 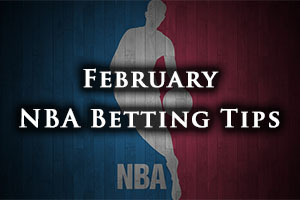 On Thursday the 19th of February, the NBA returns and while there are only two games to look forward to, two games are a lot better than no games, so let’s get back into the fun of NBA basketball betting! The Mavericks are currently sat in fifth place in the Western Conference and they are hoping that Amar’e Stoudemire will be the player to fire them into playoff contention. The Thunder are currently just on the outer edge of the playoff scene, but there is no doubt that they have the potential to put a run together that will see them in the running for post-season action. Stoudemire is all set to make his debut for the Mavericks on Thursday night, with his deal being agreed on Wednesday, just the two days after Stoudemire agreed to a buy-out from the worst team in the NBA, the New York Knicks. With Dallas also snapping up Rajon Rondo in December, this is a Mavericks team that has been notably strengthened since the start of the campaign and it is easy to see why many folk are tipping the Mavericks to go far. Heading into this game, the Mavericks hold a 36-19 record which includes a 19-10 record on the road. The team won their last game before the break and they currently hold a 6-4 record in their last ten outings. The Thunder also hold a 6-4 record in their last ten outings but they have won three games in a row coming into this game. The Thunder have a 28-25 record coming into this game which includes a 16-8 record at home. With respect to average points scored, the Mavericks hold the edge, sitting with a 106.3 record compared to the 100.7 record held by the Thunder. For average points allowed, the Thunder have the advantage, sitting with a 98.8 record while the Mavericks hold a 101.0 record. Both of these teams enjoyed home wins on February the 11th, the last time these teams were in action. The Mavericks welcomed the Utah Jazz to Dallas and the final score was 87-82. On the same day, the Thunder welcomed the Memphis Grizzlies and the final score was 105-89, in what was a convincing victory for the Thunder. It may only have been just a week ago but with the Mavericks having strengthened their team since then, a week can seem like a long time. The Thunder have a clean slate of health heading into this game but the Mavericks have major concerns over Rajon Rondo and they are monitoring Tyson Chandler on a daily basis. The Mavericks will be keen to make their mark in this comeback game and taking them with a +5.5 handicap, at odds of 1.90, is likely to be an intriguing bet to get you back into the swing of things. Bet Now! Both teams in this game are well placed in the Western Conference but they know that they will need to be more consistent in this half of the season if they are going to achieve their ambitions for the 2014/15 campaign. The Spurs are in seventh place in the Western Conference and the Clippers are in 6th place. The Spurs know that they are six games in front of the team in that dreaded ninth place (the Thunder) but the Spurs also know that they aren’t firing with the same intensity and excitement that they were this time last year. The Spurs head into this game with a 34-19 record and this includes a 14-12 record on the road. The Clippers have a slightly better record, sitting with a 35-19 status and they have a home record of 21-7. Both teams have won their last two games heading into this game but the Spurs have the better record in their last 10 outings, sitting with a 7-3 record compared to the 5-5 record that the Clippers hold. The Spurs have the stronger record for average points scored, 106.7 to 100.7 while the Spurs have a better defensive record, giving up 96.7 points on average compared to 100.7 points given up by the Clippers. Both of these teams were last in action on the 11th of February. 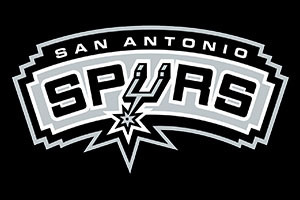 The Spurs were away to the Detroit Pistons and they managed a convincing win of 87-104. The Clippers were at home to the Rockets and they managed to win by a score of 110-95. The Spurs have no injury worries heading into this game while the Clippers are likely to be without Blake Griffin. This is definitely going to be a close one but as the reigning champions, you know that the Spurs have what it takes to push on. This is why taking the Spurs with a -2.5 handicap, at odds of 1.90, is likely to be a safe bet, and it will get you back in the swing of things when it comes to NBA betting. Bet Now!